Farewell, Dear People was also awarded the National Cultural Award. Administered by Manning Clark House, this award recognises “outstanding contributions to the quality of Australian cultural life, and interprets culture in the widest sense”. 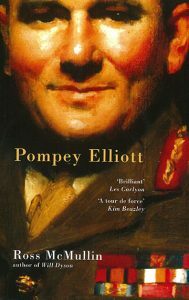 We were unanimous in our decision to give the award to Ross McMullin for Pompey Elliott. We found this biography to be a work of awesome proportion, thoroughly researched and faultlessly written. It explores the life of a dedicated Australian military man and gives vivid insight into the frightful world of trench warfare during the Gallipoli campaign and beyond. Letters from the battlefront lend authenticity and immediacy to the terrible events. Ross McMullin’s biography of Will Dyson has also been praised by the judges of major awards. 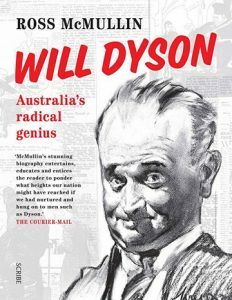 In its first guise, as Will Dyson: Cartoonist, Etcher and Australia’s Finest War Artist, it was shortlisted for the Age Book of the Year Award. 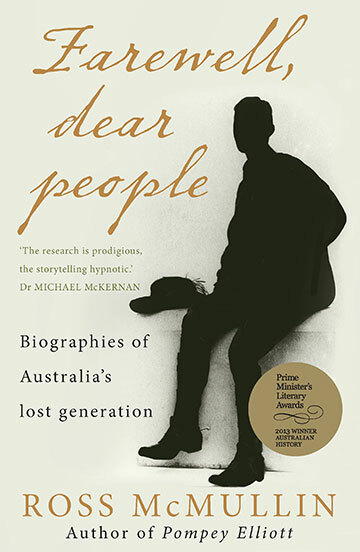 After a revised version was published decades later, with the title Will Dyson: Australia’s Radical Genius, it was highly commended by the judges of the National Biography Award.